Home › Forums › Community › F.E.A.R. – GOG.com Version – Online? 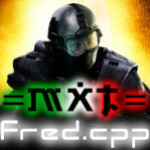 This topic contains 1 reply, has 2 voices, and was last updated by =MXT=Fred.cpp 9 months ago. I want to know if i download the game from GOG.com | https://www.gog.com/game/fear_platinum | i can play using your server path. Well, It’s possible, but you wouldn’t be able to play the single player campaign. Is a better idea to download them as separate games; since the Stock FEAR no longer supports multiplayer, and SEC2 doesn’t support Single Player.